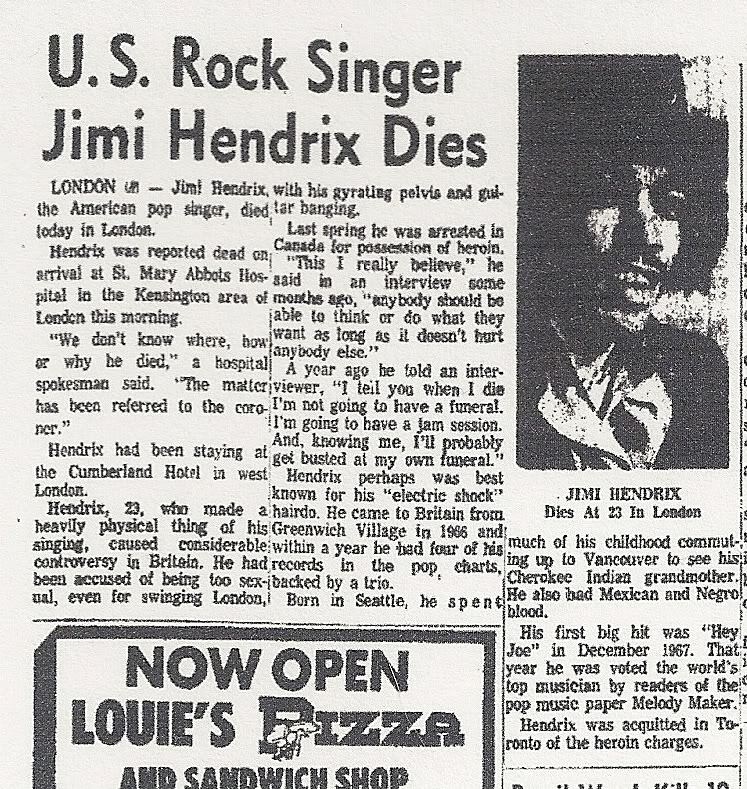 One day recently — September 18, to be exact — I saw a small news item that said 47 years ago, to the day, Jimi Hendrix had died. 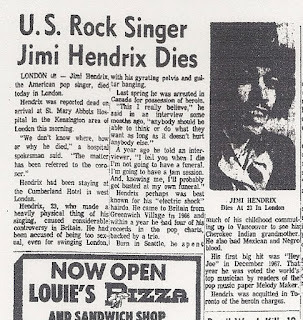 Under normal circumstances, I'm pretty sure I wouldn't have known where I was when I heard that Jimi Hendrix had died. In this case though, I know exactly. Fred's Bar was in a small town on the Balearic island of Ibiza. 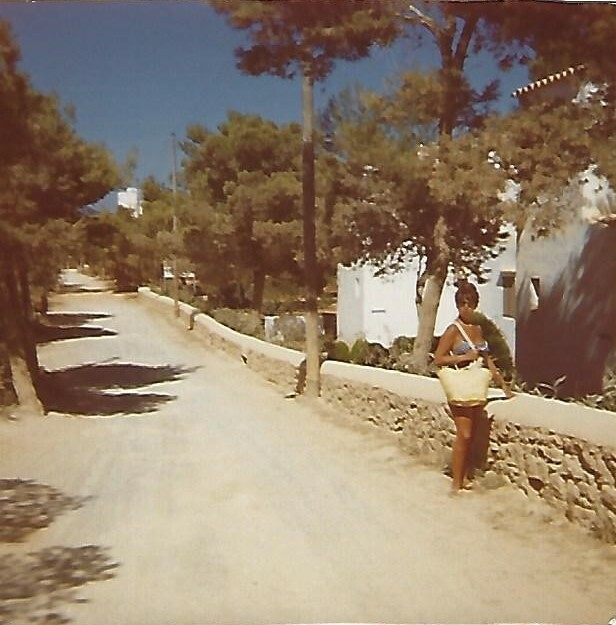 In 1970, Ibiza was at the dawn of what was to become a massive tourism industry. 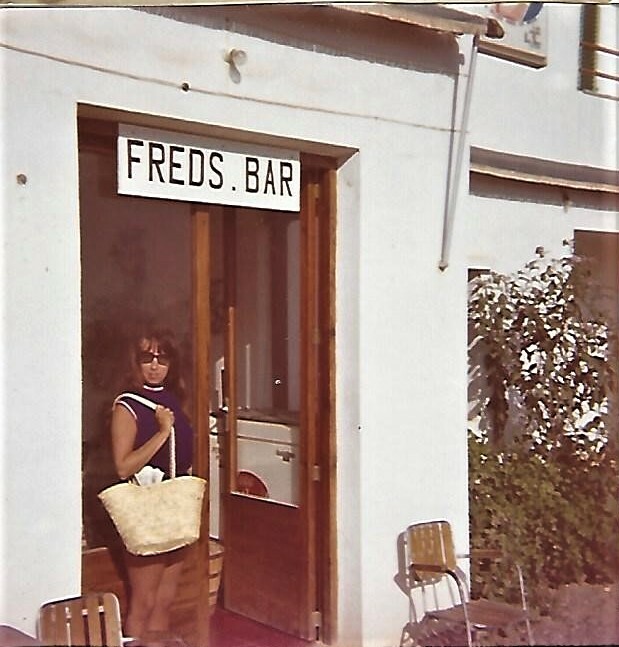 We used to go to Fred's for breakfast every morning walking down a remarkably undeveloped street from the building where were staying which wasn't quite finished. I used to read the International Herald Tribune while I had my tomato and cheese sandwich and a lovely frothy cup of café con leche. 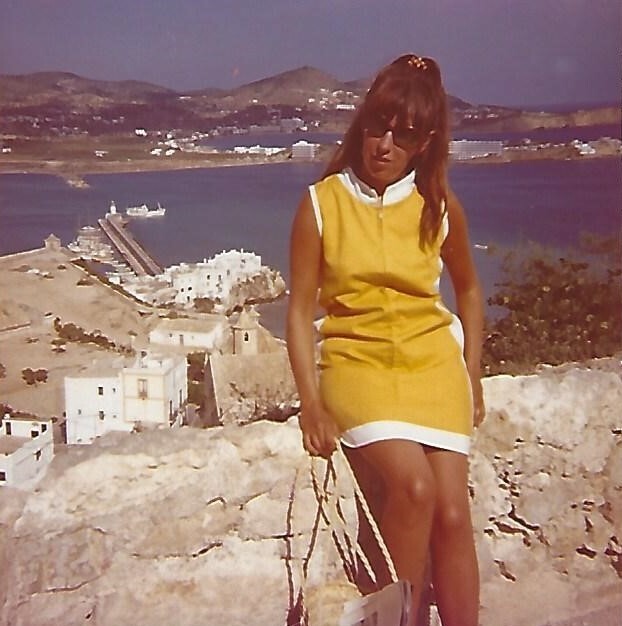 Most things were still cheap in Spain but not the Herald Tribune. We couldn't afford to buy it every day but I bought it two or three times a week and I savoured every word even though it was a very business-oriented paper and often quite boring. I was probably never so well-informed on the subject of international business as I was then. It was there that I read of the death of Jimi Hendrix and I remember it so well. It was on the front page and it must have made quite an impression on me, a small story tucked in among the war, the appointments of big business executives, the ubiquitous news that followed the ups and downs of petro-dollars. The story of the death of a genius musician must have seemed almost out of place. 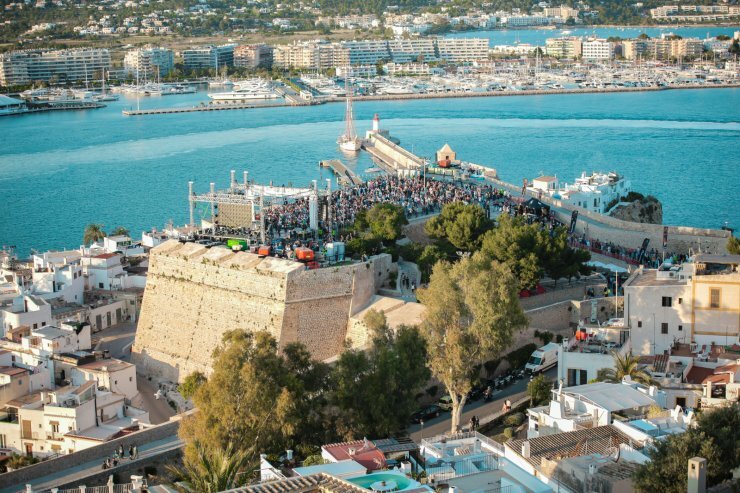 In the past 47 years, Ibiza has become known as "party island" for young Europeans. I don't think I would recognize it today. We used to walk to the beach every afternoon along a dusty little road, past small family farms where the families were often gathered around a big outdoor table enjoying lunch. On a busy day, there might be a handful of other people on the beach but just as often, there was no one. An empty beach. Today, I'm pretty sure most beaches look more like this. 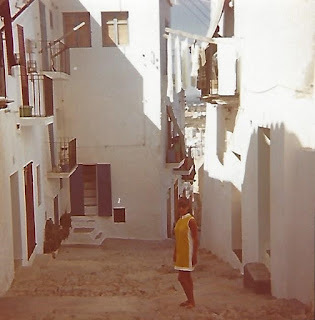 When I started writing this, I thought it was just an interesting little memory anecdote, the reason I remembered where I was was when I heard of the death of Jimi Hendrix. 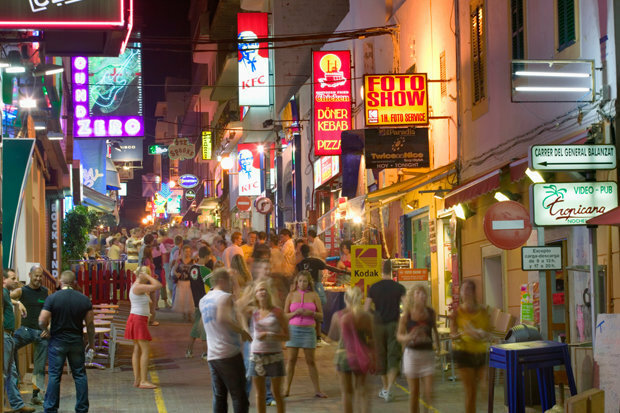 I didn't know it was going to be another look at unsustainable tourism. I've written about that here and here — about Shakespeare's hometown and about Iceland. I make the point again, sadly, because there are so many wonderful places in the world to visit but so many of the places can't take any more. 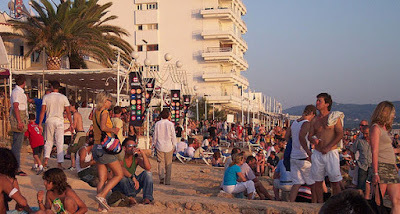 Spain was early to tourism over-development. 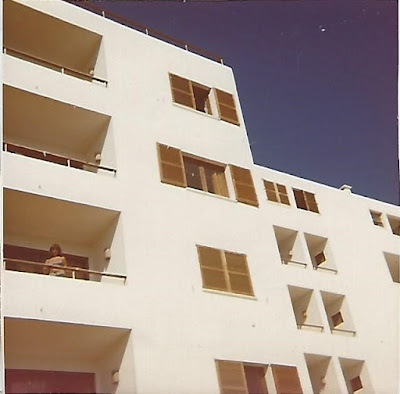 Throughout the '60s, the Mediterranean coast of the mainland was mindlessly built up with miles and miles of characterless highrise buildings (I'm looking at you, Benidorm), magnets for sun-seeking vacationers from northern Europe. 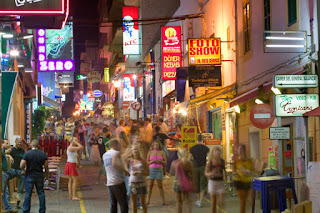 There was little regard for heritage or history but it seemed not to matter. The tourists kept coming. The development on the Balearic Islands began with Majorca, then Menorca, then Ibiza. The smallest island, Formentera, is in the earlier stages of development but it's getting there. Many people still don't take this kind of issue seriously. "You can't stop progress!" they bellow. This is not progress but there's no point arguing with people who hold that view. There were two other headlines/stories that I remember reading in Fred's Bar. 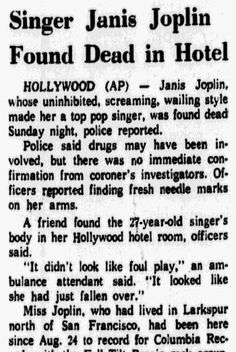 Janis Joplin died on October 4. And on October 5, James Cross was kidnapped from his home in Montreal by the FLQ, marking the beginning of the October Crisis. 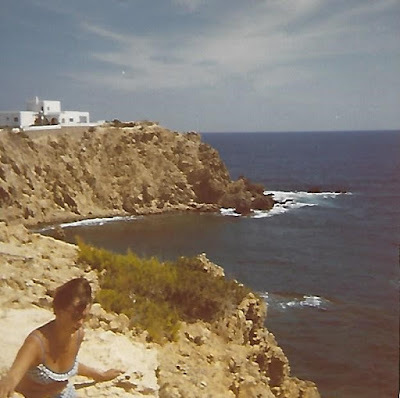 That was definitely the headline that had the greatest effect on my own life, both there in Spain and far beyond.